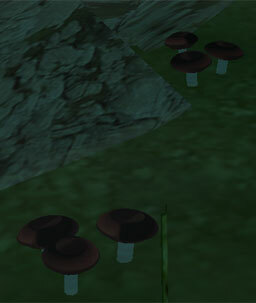 The Viscap Mushroom is a rare mushroom that makes its home exclusively in the swampy terrain of Terrax Swamp. Normally, it is unedible but swamp locals have found a way to extract edible parts out of it to use in local recipies making it a very rare delicacy around SW City. One of the most well known dishes using the Viscap Mushroom is Viscap Stipe Stew.